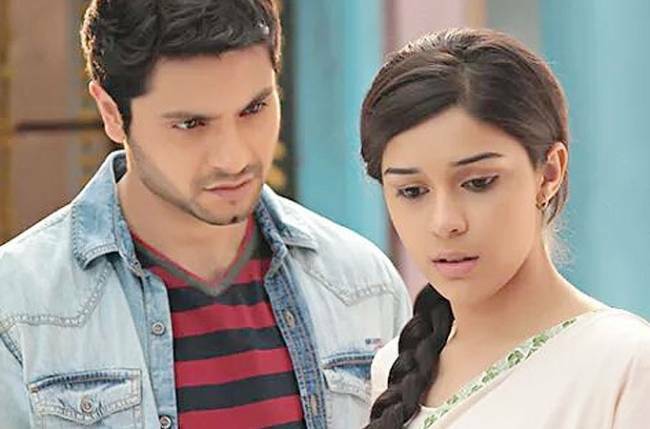 Viplav & Dhaani Fight! Ishq Ka Rang Safed 29th June 2016 Written Episode Update :- The last night episode of the TV series Ishq Ka Rang Safed starts with Parshiya, Dulaari and Vidha are in the car as they are going to a hospital to bring Dhaani home. Parshiya says Vidha is looking happy. Vidha asks Dulaari to make Halwa for Dhaani and Kheer for her. Parshiya asks her to make Rasgulla for him, Dulaari smiles. Viplav comes to hospital holding bouquet and asks the nurse where is patient. The nurse says she is discharged. Viplav asks about the bill payment. The nurse says it is done. Viplav is shocked and thinks that even Dhaani doesn’t want him to pay the bill for her in the hospital. He now through the bouquet from the balcony of hospital and Dhaani was going from there and she catches the glimpses of the bouquet and she thinks that Viplav must bring it as Viplav is aware of it that I like flowers. Suddenly riot take place in the city and Dhaani asked the hospital authority to open the gate, the authority denied but when Viplav saw this and he was in the hospital, he also pledges to the hospital authority to open the gate. Dhaani enter and Dhaani says to Viplav that she is anxious for Dulaari and Dhaani and Viplav says they are safe in the home and you should stay here safe. Now in the home, Parishay asked to Dulaari that there is the big riot on the city and Dhaani is in a hospital. I have to bring her from the hospital anyhow. Viplav now asked to Dhaani who became now restless for Dulaari and Vidha that everything will be fine just calm down. Now Dhaani tries to go out from a hospital. Viplav asked her where she is going, Dhaani says to home but Viplav says how you can go down the road there is the serious riot but Dhaani says somehow I will have to go then Viplv says okay then I will also go with you.